That’s one of the complaints electric car drivers have about charging electric cars. With the time it takes to charge one of the biggest complaints is mapping your way to a charger only to arrive and find it’s occupied or out of service. 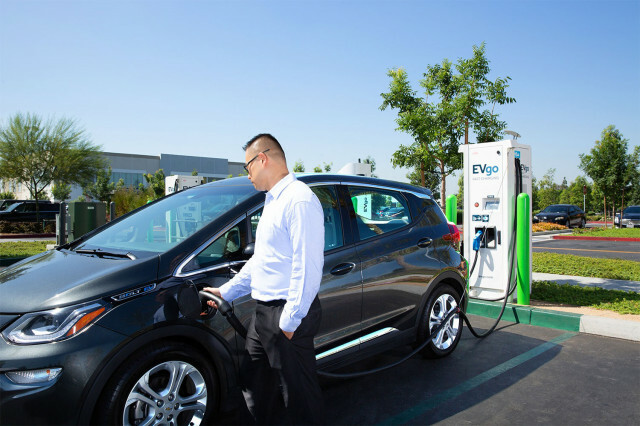 Now General Motors has forged an agreement with two of the largest charging networks in the U.S., ChargePoint and EVgo, along with Greenlots, to provide real-time data about what charging stations are available and provide it to Chevrolet Bolt EV drivers to tell them what chargers are open and available. Charging networks have long provided similar service to their own customers. But electric car drivers looking for the fastest or most convenient charger along their route may need to search multiple networks. The ubiquitous Plug-Share app shows availability across networks, but it is crowdsourced and not always updated. The updated MyChevy app expected to roll out this spring is also expected to provide a way for Bolt EV drivers to easily sign up for subscription services with ChargePoint, EVgo, and Greenlots. Drivers can access charger availability data before they begin a trip or via their cars’ infotainment screen. More partnerships are springing up across the charging industry to provide real-time data, generated electronically from the charger, to unified apps. A recent tie-up between ChargePoint and Greenlots allows users to see and pay for chargers from both networks on each others’ apps. And a similar agreement between ChargePoint, the largest network in the U.S. so far, and Canadian charging network Flo provides similar interoperability. Many of the new agreements and services are powered by system aggregators such as Hubject recently entering the U.S. market. Such systems provide a software platform that charging companies and automakers can simply wrap into their own apps which gathers and shares availability and payment data among different networks. It’s all a reminder that electric-car infrastructure is still in early days, and things will likely start to get a lot simpler soon.